The Eyes of the Atacama, an exciting and lavishly produced new documentary about ALMA (the Atacama Large Millimeter/submillimeter Array) will have its German-language premiere at 20:15 CET on 28 November 2012 on the Servus TV television station, broadcast in Austria, Germany, and Switzerland. The film was produced by Terra Mater Factual Studios, Vienna — it is the latest episode of the science, nature, and history series Terra Mater. An English-language version of the documentary is also in production, and will be available in the first half of 2013. The 53-minute documentary, by Annette and Klaus Scheurich of Marco Polo Film — one of Germany’s leading nature film companies — brings to life the adventure of astronomical research and highlights just how important state-of-the-art telescopes such as ALMA are for the future of scientific discovery. 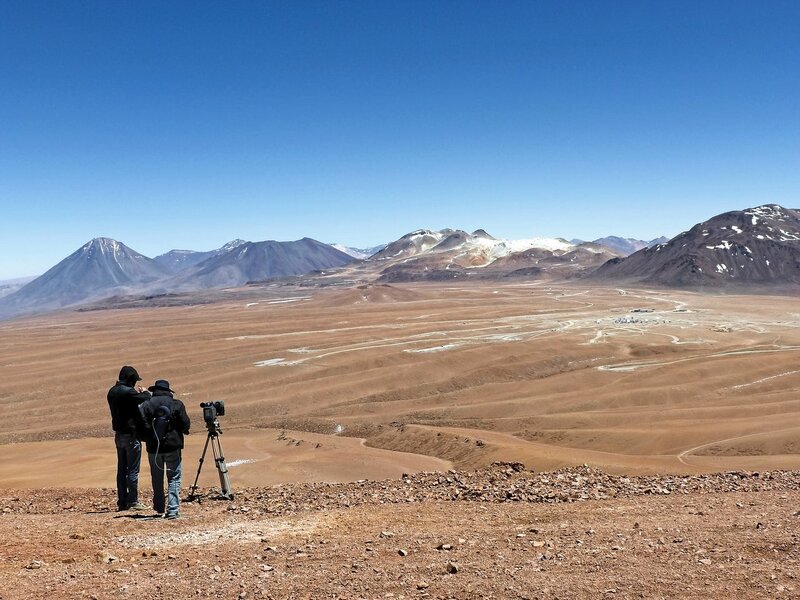 Shot in high definition, the programme combines large-scale images with exquisite detail to give viewers a unique insight into the construction of a world-class astronomical facility as well as the breathtaking landscape that surrounds it, on the high-altitude Chajnantor Plateau in the Chilean Andes. Some highlights of the production are beautiful time-lapse views of the ALMA antennas under the clear skies of Chajnantor, made by several of the ESO Photo Ambassadors. Servus TV can be viewed in Austria (DVB-T, Cable, IPTV), Germany and Switzerland (Cable and IPTV), and also across Europe via satellite.